Follow us for access to latest news on the DGR, nuclear waste, water safety, and environmental practice. Subscribe here and follow us on Twitter, Facebook, and Instagram. In a December 7th London Free Press article, Sarnia mayor Mike Bradley states that the lack of nuclear preparedness within Ontario is a frightening situation with limited staff and lack of active emergency management personnel. This only increases vulnerability if a large-scale emergency were to happen. “It is essential in a province the size of Ontario that the government be ready to act in the event of an emergency,” Auditor General Bonnie Lysyk said in a statement. "This is not just a simple project. This is a forever project. It requires our people to think beyond seven generations, which is typically how we plan and think about these things," Randall Kahgee, a former chief and now lead adviser to the First Nations on nuclear issues, said in an interview. Colin Perkel’s Globe and Mail article addresses the Saugeen Ojibway Nation's deliberation regarding the proposed nuclear waste dump on the shores of Lake Huron following Minister McKenna’s request for more information on Indigenous relations with OPG in August 2017. In their triennial report, the IJC states that the progress to address toxic chemical releases under the Agreement has been disappointingly slow. Eight chemicals of mutual concern have been recognized within the first three years and there have been no binational management strategies completed in regards to these chemicals. IJC’s recommendation for the Canadian and American governments include creating binational strategies with a clear set of timelines, policies and programs to work towards the development and implementation of innovative products and effective solutions. On April 1st 2017, Jill Taylor, President of SOS Great Lakes, was featured in the W5 story entitled “Nuclear Tomb” on CTV News. In this informative piece, Lloyd Robertson deconstructed myths and safety concerns regarding the site by interviewing politicians, CEOs and residents to learn the truth surrounding OPG’s proposed nuclear waste dump. Since 40 million people throughout North America depend on the Great Lakes for drinking water, Kincardine inhabitants, as well as international politicians and residents, are concerned that a nuclear leak would be disastrous. The proposed deep geological repository is scheduled to be built only 1.2 kilometers from the shores of Lake Huron. Since 100% of DGRs have leaked globally, there’s no doubt that this one will too. "Warning markers have crumbled, language has drifted, so any remaining messages are cryptic and indecipherable, governments have come and gone, documents have disintegrated, there’s no way of knowing that radioactive waste is buried here,” said Paul Kennedy, as he describes a hypothetical yet realistic scenario. In this episode of Ideas, they explore warnings placed on nuclear sites and the possibility of it disappearing in future generations. This can be dangerous, especially when these radioactive contents become foreign. A national assessment of Canada's freshwater ecosystems has found that each of our 25 watersheds is facing environmental threats. Out of 167 sub-watersheds 31% exhibit high levels of stress and 66% are data deficient. 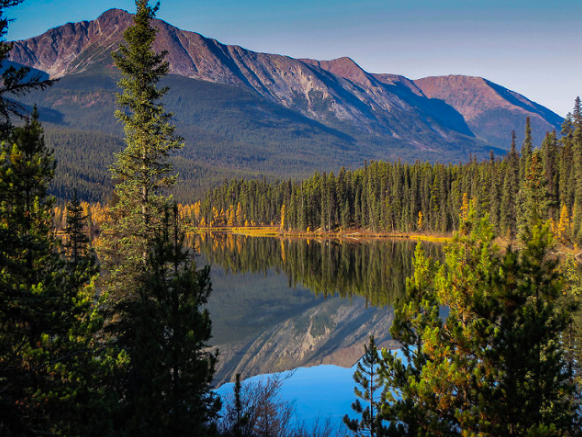 The absence of a standardized national water monitoring program has left Canada unprepared to address increasing pressures on freshwater ecosystems. “Water – despite its theoretical abundance – is probably the biggest looming problem in Canada,” said David Schindler, one of Canada’s most highly regarded freshwater scientists. 32 members of Congress from the Great Lakes region have sent a letter to the Secretary of State, Rex Tillerson, asking that he block plans for permanent storage of radioactive waste near Lake Huron. The letter states: "Any contamination whatsoever would pose disastrous repercussions as all of the lakes are connected to one another, and no barrier, man-made or natural, would be able to stop a potential catastrophe of epic proportions." A bipartisan group of lawmakers from Great Lakes states have sent a letter to Rex Tillerson, Secretary of State, urging him to oppose the plan to store nuclear waste on the shore of Lake Huron. “We cannot let cost be the sole driving factor in this critical decision, as storing nuclear waste in the Great Lakes Basin bears far too great a risk that would be fundamentally devastating to an entire region,” the lawmakers wrote. Michigan’s U.S. House delegation have joined a bipartisan group urging Secretary of State Rex Tillerson to stop Ontario Power Generation (OPG) from building an underground facility to store low- to intermediate-level nuclear waste near Lake Huron. No matter how many times Environment Minister Catherine McKenna asks, OPG is unwilling to look at alternate sites to bury nuclear waste because they already found one. OPG settled on Kincardine, a municipality on the shore of Lake Huron that hosts Bruce Power’s nuclear plant, where nuclear means jobs to local people and politicians. In 2016, OPG took almost a year to come up with a strikingly inadequate report that did not identify alternative sites and their latest report (released on May 26 2017) still does not identify specific alternate sites. On May 26, 2017, Ontario Power Generation (OPG) released a 143 page report after 23 requests by the Canadian Environmental Assessment Agency (CEAA) for more information on their plan to bury nuclear waste on the site of Bruce Power, on the shore of Lake Huron in Kincardine ON. Citizens groups argue OPG still has not made the case for this project and are concerned because the public will not be given the opportunity to comment on this latest report before the CEAA releases its draft report on the proposed nuclear waste repository this summer. The Canadian Environmental Assessment Agency requested additional information from OPG regarding their proposal to bury nuclear waste on the shore of Lake Huron . On may 26, 2017 OPG responded to the request stating the site is still best suited for the project. Colin Perkel reports: "the Canadian Environmental Assessment Agency, which has yet to make a final recommendation to Environment Minister Catherine McKenna on whether to approve the project. The agency, along with critics of the proposal, had slammed OPG’s previous report on feasible alternative locations as superficial and inadequate." Republican and Democratic Lawmakers from the Great Lakes states sent a letter to Canada’s newly appointed Minister of Foreign Affairs (Chrystia Freeland) opposing Ontario Power Generation (OPG)’s proposed nuclear waste repository on the shores of Lake Huron. The letter also says OPG has purposely downplayed opposition to the potential waste site. 186 local, county and state governments in the U.S. and Canada have passed resolutions opposing the proposed nuclear waste repository. In 2015 a non-profit group called Citizens Oversight filed a lawsuit to revoke the decision by the California Coastal Commission to allow spent fuel from the San Onofre Nuclear Generationg Station (SONGS) to be buried on site, less than 100 ft from the shore of the Pacific Ocean. At the beginning of April (2017), a week before a court hearing and after a Judge refused to dismiss the lawsuit, Southern California Edison, owner of SONGS, agreed to negotiate on relocating the radioactive waste away from the San Diego coastline. 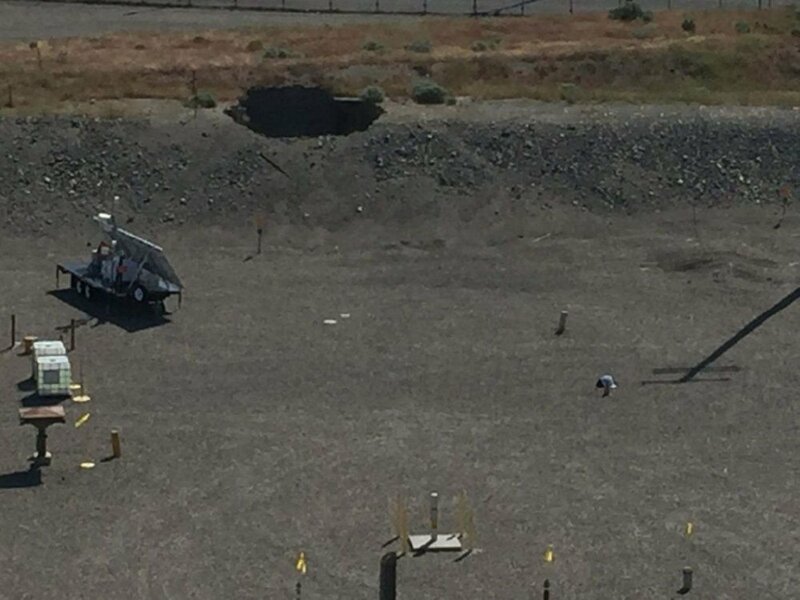 Authorities investigate possible radioactive leak at Hanford nuclear waste site after tunnel collapse on May 9, 2017. Radiation was detected on a robotic device known as a crawler that workers were pulling out of a nuclear waste tank and on a worker's clothing. Decontamination procedures were followed and State officials are urging the US Department of Energy to investigate the incident and determine the safety of the site. 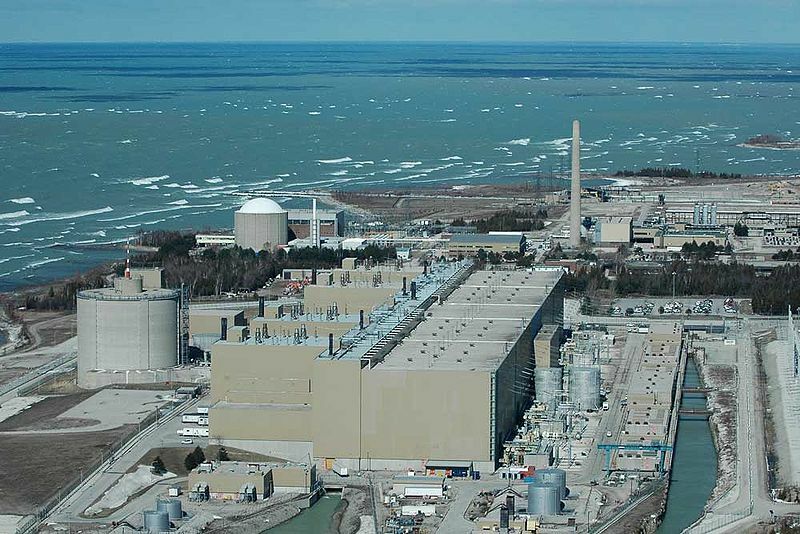 “With more than half of Ontarians living near a nuclear station that could be harmed in the event of a nuclear accident, Ontario is unprepared for a large nuclear emergency on the Great Lakes," said Shawn-Patrick Stensil, a Senior Energy Analyst with Greenpeace. These groups are calling on the Wynne government to fix flaws in emergency plans that were recently updated but are not based on a large incident and do not address (1) large scale evacuations, (2) providing drinking water if the Great Lakes are contaminated, or (3) supporting vulnerable communities. In the fall of 2016 Catherine McKenna requested more information from OPG about alternative sites for the burial of nuclear waste. On April 5 2017, the Canadian Environmental Assessment Agency (CEAA) issued another request to OPG. The Agency chastised OPG for its superficial exploration of alternative locations, emphasized that indigenous peoples’ perspectives need to be better represented and wants more information about potential cumulative effects from radiation and radioactivity on deep groundwater. The Anishinabek Nation and the Iroquois Caucus have made a Joint Declaration opposing the transportation of radioactive liquid from Chalk River Laboratories (Canadian nuclear research facility in Deep River, Ontario) to South Carolina and the abandonment of nuclear waste near the Ottawa River. "The transportation and abandonment of nuclear waste within the territories has the potential to adversely affect these rights, areas, and activities. The potential for long-lived contamination to the environment and to all living entities is too great." Windsor MP Brian Masse has asked that the federal government abandon the plan to bury nuclear waste in a Deep Geological Repository (DGR) on the shore of Lake Huron. Masse suggested to MPs that the plan is “not only is it environmentally reckless, but it’s an increasingly significant diplomatic irritant with Canada developing a reputation as a free-rider on U.S. Great Lakes protection initiatives and investments." Lindsey Bever and Steven Mufson from the Washington Post report: "Hundreds of workers at the Department of Energy’s Hanford nuclear site in Washington state had to “take cover” Tuesday morning after the collapse of 20-foot-long portion of a tunnel used to store contaminated radioactive materials." "The Canadian Coalition for Nuclear Responsibility (CCNR) agrees with the Expert Panel that placing environmental assessments for nuclear-related projects under the sole jurisdiction of the Canadian Nuclear Safety Commission (CNSC) is not in the public interest. " "The Plan to Build a Million-Year Nuclear Waste Dump on the Great Lakes"
Kate Lunau and Daniel Oberhaus from Motherboard (Vice) explore of nuclear power in Ontario and the the proposed deep geologic repository in Kincardine. "A leak so close to Lake Huron, [Jill] Taylor, [President of SOS Great Lakes] believes, could be disastrous. "The Great Lakes are the largest freshwater body on the planet," said Taylor, who thinks OPG should keep all of its nuclear waste away from the Great Lakes. She also argues the waste should stay retrievable, so future generations can keep tabs on it." Sally Cole-Misch, IJC writes, "At five IJC public meetings on the Great Lakes held March 21-29 around the basin, standing-room-only crowds packed venues in Canada and the United States to learn from presentations about topics reflecting local issues as they relate to the health of the Great Lakes ecosystem, and to share their own thoughts and concerns." "Canadians should care about nuclear contamination in the Great Lakes"
Andrew Reeves, This Magazine, writes: "Should we be worried about radioactive waste leaching into the Great Lakes? Absolutely we should. Gauging the extent of nuclear contamination in the Great Lakes is daunting. Yet a report released in March 2016 by the Canadian Environmental Law Association proposed a simple solution: List radionuclides, a form of unstable radioactive atom, as a “chemical of mutual concern” under the Great Lakes Water Quality Agreement." 1380 AM WpHM interviews SOS Great Lakes Director, Ellen Dailey regarding the proposed Deep Geologic Repository . 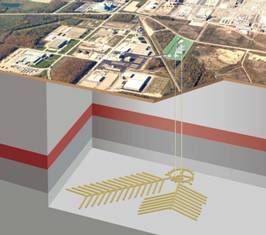 "OPG insisted the Bruce nuclear plant near Kincardine, Ont., was the best location for its proposed deep geologic repository -- a massive underground rock bunker about 1.2 kilometres from Lake Huron." "In a 15-page request for information, the federal agency calls OPG's analysis of other sites vague and superficial. The utility should have "objectively and rigorously" analyzed potential problems with other locations -- from construction of the repository to its ultimate closure, the document states." "The questions for OPG in its advocacy for the Bruce site have always been these: Is it the right rock? And is it the right place? The proximity to the Great Lakes has drawn loud protest from both sides of the border in defiance of OPG’s own claim that the issue has not generated “large volumes of curiosity.” On Thursday, Democratic Congressman Dan Kildee again made his opposition to the project known, tweeting that “there is a growing opposition to Canada burying nuclear waste so close to the #GreatLakes, Your voices are being heard.” Kildee represents Michigan’s Flint Township where the water crisis has kept tainted drinking water top of mind." "OPG’s report considers a time frame of a million years. To put that in context, it explains the crystalline rock of the Canadian Shield is more than a billion years old, and the sedimentary rock of southern Ontario is 354 million to 543 million years old. But wasn’t it only 10,000 years ago that retreating ice sheets carved the Great Lakes’ water basin?" CTV’s famed investigative program, W5, examined OPG’s proposed nuclear waste dump on Lake Huron. Click below to watch Jill Taylor, President of SOS Great Lakes, Rep. Dan Kildee, other opponents of the project, and citizens discuss the proposed nuclear waste dump. The Fight to Protect the Great Lakes: Sen. Debbie Stabenow Speaks Up. 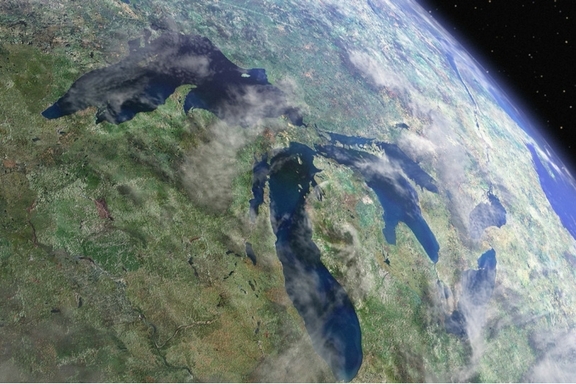 With the recent news that funding to Great Lakes monitoring and protection in the US will be cut by nearly 97%, politicians, citizen, and activists are fighting to find ways to protect the world's greatest source of freshwater. Sen. Stabenow has spoken up against OPG's proposed DGR and is now continuing to encourage people to help keep the water clean. "Lawmakers united against nearby Canadian nuclear waste site"
Brenda Battel from Huron Daily Tribune writes: "Ontario Power Generation announced this winter that a study of alternative sites showed that the Ontario site was better than two locations that had been studied. Michigan Sens. Gary Peters and Debbie Stabenow, both Democrats, introduced a resolution last week in the Senate opposing the dump." Upper Michigan Source Reports: "U.S. Senators Debbie Stabenow (D-MI), Gary Peters (D-MI) and Congressman Dan Kildee (MI-05) today introduced resolutions, in both the House and Senate, expressing opposition to construction of a nuclear waste repository less than a mile from Lake Huron in Ontario." The Detroit News reports: "The resolution, sponsored by Democratic Sens. Debbie Stabenow of Lansing and Gary Peters of Bloomfield Township, and Rep. Dan Kildee of Flint Township, says the United States and Canada should together develop a safe and responsible solution for the long-term storage of nuclear waste." CBC News explains, "Ontario mayors continue to sound alarm bells over proposed budget cuts in the United States that would gut programs designed to protect the Great Lakes. Budget proposals drafted by the administration of U.S. President Donald Trump include slashing funding for the Environmental Protection Agency by 25 per cent." WIPP Accident "one of the costliest"
The cleanup of a 2014 explosion in the nuclear waste repository in Carlsband, New Mexico has become a costly, time consuming, long-term project. Ralph Vertabedian (Los Angeles Times) reports: "the explosion ranks among the costliest nuclear accidents in U.S. history, according to a Times analysis. The long-termcost of the mishap could top $2 billion, an amount roughly in the range of the cleanup after the 1979 partial meltdown at the Three Mile Island nuclear power plant in Pennsylvania." The Toronto Star shares Colin Perkel's story on the misleading survey conducted by the Gandalf Report. Perkel writes, "While Ontario Power Generation (OPG) stands by the poll of 805 people, critics insist an analysis shows the utility distorted its findings in submissions to the federal government. Among other things, poll questions provided false or misleading assumptions designed to skew the response in favour of the deep geologic repository, they said." "Survey showing support for nuke waste bunker near Lake Huron 'misleading'"
In April of 2016, on behalf of OPG, the Gandalf Group conducted a poll of 805 Ontarians to assess how the public feels about the proposed DGR (the plan to bury up to 400,000 cubic metres of radioactive nuclear waste less than 1 km from Lake Huron). OPG misrepresented the findings to the government, to the media, and to the public. Colin Perkel (Canadian Press) writes, "While Ontario Power Generation stands by the poll of 805 people, critics insist an analysis shows the utility distorted its findings in submissions to the federal government." "Two twelve-year-old girls yell at an officer overseeing nuclear waste transport to the WIPP facility in 1999." "The fate of the nuclear waste has hung in the balance for years. In 2007, the plans were kicked to a joint review panel for investigation amid public concerns about the potential environmental disaster that would ensue if the repository were to begin leaching its radioactive contents into the Great Lakes. Although the panel released its report in 2015 recommending that the plans move forward for approval, private citizens have only gotten more vocal in their desire not to see the vault built." Critics are also angry that the government is allowing just 30 days for public comment on a report OPG had the better part of a year to produce. 'It appears to me the government perhaps does not care to hear what the public thinks,' McLeod said." "SOS [Great Lakes] slams OPG plan"
"Rod McLeod, a former Ontario Deputy Minister of the Environment AND Director of SOS Great Lakes feels OPG is in violation of Canadian Environment Assessment Laws. He says from day one OPG has failed to look at alternate sites and the law requires them to do so stating the decision to place a DGR at the Bruce site is not theirs to make; he says it's ultimately up to the Federal Government and Cabinet to make that decision." Readers say, "Nuclear Dumpsite idea [is] Dangerous"
On Sunday, January 15, 2017 The Toronto Star shared readers' opinions regarding OPG's proposed DGR. "The fact that there are only three deep nuclear waste dumps on our entire planet that have held radioactive nuclear waste and all three have leaked should be cause for alarm. At what cost do we risk the Great Lakes? I cannot believe that this is the safest alternative. I do believe that it may be the easiest, the cheapest and the quickest – unless something unintended and unfortunate happens. I do not want my government to take that chance." 11 months ago, Ontario Power Generation (OPG) was asked by the federal government to identify actual locations for alternate sites for the burial of nuclear waste in a Deep Geologic Repository (DGR). The report released by OPG cites two alternate locations for the DGR, one in "crystalline rock" and the other in sedimentary rock. The alternate site in crystalline rock was defined by fourteen GPS coordinates, which include the location of a store in Minnesota on the Canada/ U.S. border, a spot in Lake Erie, and a two story home near Young St. and Davisville Ave. Matthew Cole at the Star found that the fourteen GPS points identified by OPG incorporate 726, 052 square kilometres of land, covering 73 percent of Ontario. It is up to Catherine McKenna, Minister of the Environment and Climate Change, to decide if OPG has fulfilled their obligations in identifying actual alternative locations for the DGR. On January 3rd, 2017, after 11 months, Ontario Power Generation (OPG) responded to Catherine McKenna’s request for additional information on alternative sites for the burial of this nuclear waste. OPG, once again, fails to clearly identify specific alternative sites for the burial of nuclear waste. OPG states that transporting the radioactive material would be more dangerous than burying it at the Bruce site, however there is serious concern over the failure of similar storage bunkers to contain hazardous waste. OPG has claimed that people in Ontario have little interest in the project when in fact there is on-going, widespread public opposition in Canada and the U.S. Critics are also concerned that while OPG took 11 months to create this approximately 500 page report, the public is only given a 30 day comment period to respond. To Read the entire letter click here or "Learn More"
The Ontario Power Generation has responded to the Minister's request to provide alternative location for the proposed Deep Geological Repository (DGR) where Low and Intermediate Level Waste would be stored. CTV News reports: "Responding to a request by Environment Minister Catherine McKenna, Ontario Power Generation said it had examined two alternative sites - one in a crystalline rock formation in north-central Ontario and the other in limestone in the province's south. The specific locations were not disclosed because of the study's hypothetical nature, company spokesman Kevin Powers said, adding that both are farther from the lake than the Bruce Power site." CEAA announced: the time limit for the issuance of the Decision Statement for the proposed DGR project has been extended by 243 days. Scott Miller explores this story on CTV London. Watch the video below to see CTV's coverage of the story and Director of SOS Great Lakes, Eugene Bourgeois express his opposition to the proposed Project. November storms bring record high waves in the Great Lakes causing damage to the shores of Lake Superior. According to the Superior Watershed Project, "The recent storms combined with high water levels have led to an increase in coastal erosion and damage to waterfront." "SWP has developed the Great Lakes Coastal Reporting Tool which allows users to upload information and photos as it pertains to storm damage." Albuquerque Journal outlines the details of the incident: "It was just before 2:30 p.m. on Nov. 3 at the Waste Isolation Pilot Plant. Still recovering from a radiation accident nearly three years ago, managers of the nation’s only deep geologic repository for defense nuclear waste had just two weeks prior decided to shut down the far south end of the mine after the salt ceiling collapsed in two places." "In the wake of yesterday’s damning report by Ontario Auditor General Bonnie Lysyk in which she directed harsh criticism at the province’s environmental assessment (EA) program, environmental organizations are encouraged by Environmental Minister Glenn Murray’s commitment for ‘substantive reforms’ to modernize Ontario’s environmental assessment process. HazMat discusses the controversial issue of the Port Hope cleanup in Ontario. HazMat explains "Five representatives of the CNSC and members of the public heard presentations on what has been accomplished to date on the facilities that will permanently house the historic low-level radioactive waste that originated from the Eldorado radium extraction facility that first started operations in the town in 1932." Click "Learn More" to read the original article. On November 17, Michael Rinker (CNSC), Theresa McClenaghan (CELA), John Marsden (Environment Canada), and Mark Mattson (Waterkeeper) join Steve Paikin in discussing their concerns regarding radionuclide contamination in the Great Lakes, emergency protocols, and protection measures. They also discuss why radionuclides should be on the list of Chemicals of Mutual Concern. What is the Blue Dot Project? "Around the world more than 110 nations recognize the right to live in a healthy environment. But not Canada. That’s about to change.” - The Blue Dot Project (David Suzuki Foundation). The Blue Dot project has a plan to create “lasting change for generations” through community and political action. SOS Great Lakes also believes that future generations have the right to live in healthy environments. Saugeen and Chippewa Native Bands march in solidarity with Standing Rock on Tuesday in Southampton, ON. Communities in and around Southampton are fighting their own battle to protect water from contamination. CBCRadio (The 180) discusses the Canadian Environmental Assessment Process. Numerous people and organizations, including SOS Great Lakes, presented their concerns regarding the Great Lakes Water Quality Agreement. Many asked the Panel that radionuclides be included as a Chemical or Mutual Concern. WHERE WILL CANADA BURY IT'S NUCLEAR WASTE? Nuclear waste management is a controversial issue around the world. Andrei Ozharovsky (translated by Maria Kaminskya) asks: "How did it happen that in Sweden, the country that developed the technology for deep geological disposal of radioactive waste, construction of a such a repository – a first of its kind in the world – has been suspended for recognized risks and uncertainties, whereas Finland, which has copied the Swedish approach, is moving full speed ahead with building one?" To read the full article, click "Learn More"
"Opponents of the dam have contended for years that it could pose a serious risk to traditional food supplies for down-river communities, because of heavy methylmercury contamination in the soil of the land that is about to be flooded. Public officials have acknowledged that mercury levels in fish would increase, but they have been reluctant to face the problem head-on and do the right thing by first removing the toxic topsoil." FLORIDA SINKHOLE CAUSES RADIOACTIVE SUBSTANCES TO LEAK INTO THE STATE'S LARGEST SOURCE OF DRINKING WATER. "At least 980 million litres of contaminated water including radioactive substances has been leaked into one of Florida’s largest sources of drinking water. [It] contains naturally occurring uranium and radium. 'It's hard to trust them when they say 'Don't worry,' when they've been keeping it secret for three weeks"
"Nuclear boss jokes about whistleblowers"
"The commission invited Stensil to speak about nuclear safety issues, but wouldn't let him comment about a remarkable anonymous letter that raised serious engineering and procedural issues questioning whether the agency was doing a bad job overseeing reactors. The commission's president and chief executive, Michael Binder, led a series of jokes ridiculing the whistleblowers the night before, prompting a public rebuke by the union representing government scientists. Today, Binder cut off Stensil’s microphone." This is shocking behaviour considering that a 2014 poll of federal scientists found that 57% of scientists at the CNSC were aware of cases where the health and safety of Canadians or environmental sustainability were compromised due to political interference (http://www.pipsc.ca/…/website/issues/science/pdfs/environic…). On top of their role in appointing the members of the biased and flawed Joint Review Panel which gave the OPG DGR project a stamp of approval, this is further evidence that the CNSC is not an unbiased, neutral regulator. That's why we are pushing for the Canadian Environmental Assessment Agency to stop relying on the CNSC in environmental assessment processes. The "Grotto" at the Bruce Peninsula National Park, Northwest of the Proposed DGR Site near Kincardine. AN OPEN LETTER TO CATHERINE MCKENNA RE: HER LETTER TO OPG REQUESTING FURTHER INFORMATION ON THE DGR AND OPG'S INADEQUATE RESPONSE. Shawn McCarthy (Globe and Mail) interviews SOS Great Lakes Director, Rod McLeod and asks him about the impartiality of the Panel reviewing the proposed DGR. This letter was also signed by Representatives Dan Benishek (R-MI), Mike Bishop (R-MI), John Conyers (D-MI), Debbie Dingell (D-MI), Brenda Lawrence (D-MI), Sander Levin (D-MI), Candice Miller (R-MI), John Moolenaar (R-MI), and David Trott (R-MI).